Mark Pritchard (who writes with the name Belsebuub) is a British-born spiritual author. His work describes a path of inner transformation – referred to as enlightenment or salvation in various spiritual teachings – through which a person’s consciousness awakens and unites with the divine. This work is presented in Belsebuub’s books, articles, videos, and audio recordings, and is available via his official website, and on Amazon. Mark views the spread of spiritual knowledge as a philanthropic and humanitarian activity, and for this reason has always refused to profit from his teaching and writing activities. For a decade he taught in-person classes free of charge in cities across the UK and Australia. In 2001, Mark became an early pioneer of e-learning in the field of spirituality, publishing free online courses on astral travel and dreams, self-knowledge, and esoteric wisdom that would eventually reach over 90,000 people. He has also appeared as a guest in over 70 media interviews around the world, including numerous appearances on the BBC. Today, all of Belsebuub’s videos and articles are available freely from his website, and his printed books are sold without any profit or royalties paid to the author. Belsebuub has published half a dozen books describing his work on spiritual awakening, out-of-body experiences, self-knowledge, and esotericism. 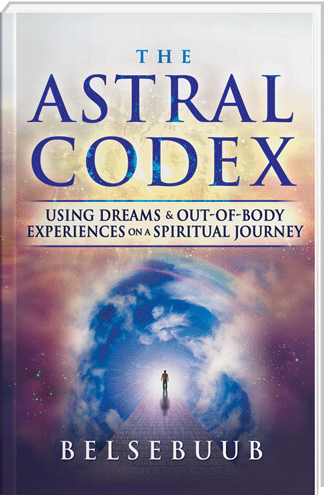 The Astral Codex, his work on out-of-body experiences, was a bestseller in its category in its previous edition as A Course in Astral Travel and Dreams. Gazing into the Eternal, a compilation of talks, was a finalist for the USA News Best Books awards in spirituality. The Awakening of Perception is a collection of talks and articles about a wide range of topics, including spiritual awakening, out-of-body experiences, and the influence of supernatural forces on the world today. Return to Source, co-authored with Lara Atwood, explores how the process of enlightenment is a microcosm of the process of creation in reverse, revealing how spiritual awakening is intimately connected to the structure of the cosmos. 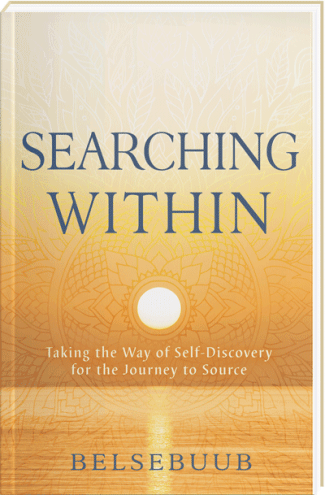 Mark has also released in print the latest edition of his work on self-knowledge, Searching Within, based on his earlier course and book on the same topic. 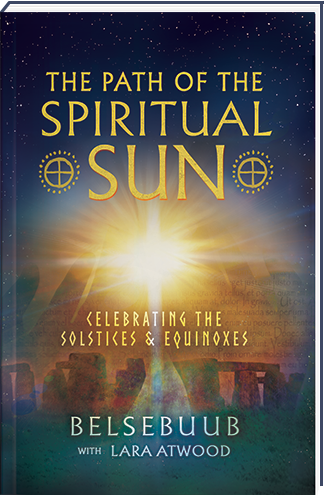 The Path of the Spiritual Sun is Belsebuub’s most recent work, co-authored with his wife Lara, which includes groundbreaking research into an ancient religion of the sun that once spanned the globe. Most recently, Belsebuub’s work has explored the spirituality of the sun, which he describes as a lost spiritual knowledge that formed the basis of an ancient civilization that spread over much of the planet. He states that this civilization had its origin in the lost continent of Atlantis, as Atlantean wisdom bringers brought mystical knowledge to other parts of the world and oversaw the construction of many incredible sacred sites. These sites, including many pyramids and megaliths that are still visited today, contain precise alignments with the sun at specific times of the year (particularly the solstices and equinoxes). In this way, Mark states that these sites were able to transmit hidden teachings about the spirituality of the sun in a form that would endure through many thousands of years. The spirituality of the sun can also be found in the myths, sacred texts, symbols, and artwork of many ancient cultures. Belsebuub writes that the sun is a physical symbol for a universal cosmic force that can be brought to life within each person through a process of spiritual awakening. This process is represented in the myths and stories of numerous spiritual figures whose lives have parallels to the cycles of the sun. These individuals are often depicted as the saviour of their people, who die and then are miraculously resurrected. This pattern can be seen in the myths of Osiris (Egypt), Dionysus (Greece), Hun Hunahpu (Maya), Tammuz (Mesopotamia), and many others. The work to study and reveal the roots of this ancient solar religion has been part of a years-long collaborative research effort between Belsebuub and his wife Lara, through which Belsebuub’s insights gained through experiencing the process of enlightenment have been combined with Lara’s research into sacred sites, ancient texts, astronomy, and worldwide myths. Mark Pritchard’s spiritual interest began in the 1970s, when as a young child he regularly experienced mystical and psychic phenomena. In the 1980s he began to study a variety of spiritual teachings, including the teachings of Jiddu Krishnamurti, whose talks in Brockwood Park he attended in 1982 and 1983. In 1990 he began to study and then teach Gnosticism, and in 1991 he began a gradual process of spiritual awakening that has continued for the past 25 years. Belsebuub describes this journey as experiencing the process of creation in reverse; it is a process during which a person eliminates the darkness of the subconscious from their psyche and merges their awakened consciousness with divine forces that are incarnated within. Mark states that the ultimate goal of this process is to return to the spiritual source from which all people come, with consciousness fully awakened and reintegrated into each one’s inner Being. While walking this path, Mark has acquired a vast personal experience of the process of enlightenment and has been able to receive many spiritual teachings and mystical experiences while out-of-the-body. This process has given him a rare perspective on many issues and allows him to describe the process of spiritual awakening with unique clarity and insight. It was also through this process that Mark Pritchard adopted the name “Belsebuub,” which is the name of his inner Being (spirit). He states that each person’s inner Being has a spiritual name, which is revealed and can be used by a person when they have reached an appropriate stage of the spiritual path. Read more on Belsebuub’s Biography site. Belsebuub has appeared regularly in the media to discuss these and related spiritual topics, with over 70 appearances on television and radio shows to date. These include over a dozen appearances on the BBC radio as well as on shows across Canada, Australia, and Greece. To learn more about who Belsebuub is and to get more information on his work, visit his official website, Belsebuub.com, explore some of the suggested resources on this page, or read featured quotes, articles and updates on Belsebuub’s Twitter profile, or Facebook page.